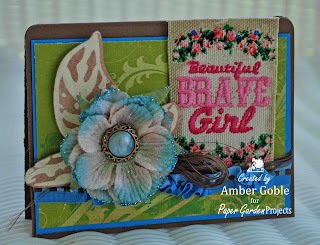 It's time for the Fourth Friday Challenge at Paper Garden Projects. 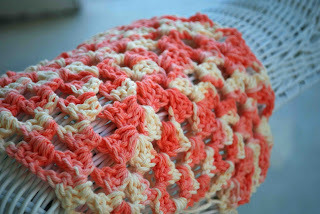 This week we are having a color challenge, wanna see??? 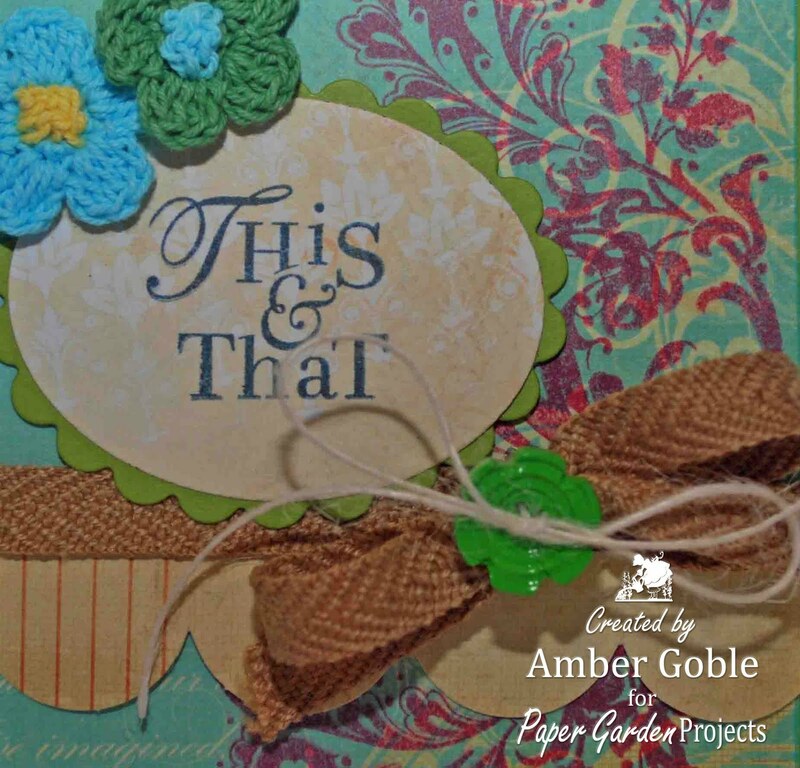 You have till midnight (EST) of Friday May 7 to add a comment at Paper Garden Projects Blog with the link to your project. We will draw one random winner for the prize. I used my Antique Floral Clear Stamp Set to make a background on Kaisercraft Paper. 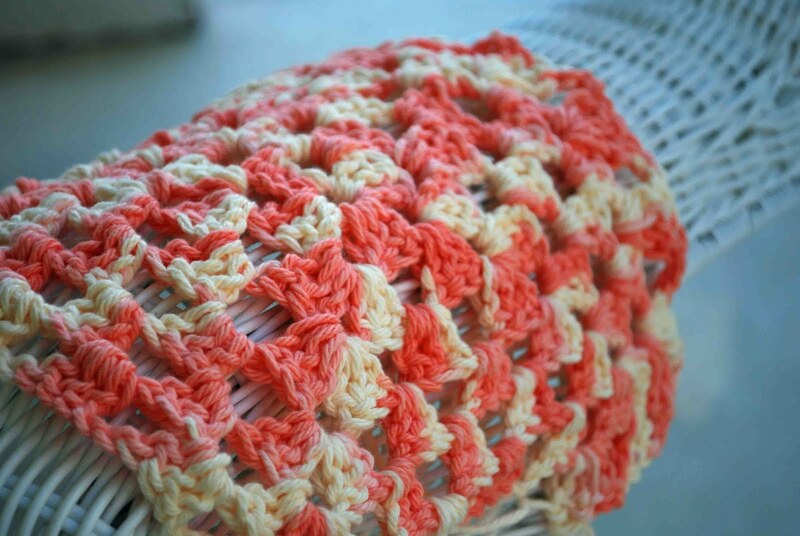 I simply snipped the brown middle stitch and then pulled it to make the blue ribbon ruffle. I added the ruffle to my card...with my left over ribbon I pulled the brown stitch from the middle - many different pieces of thin twine make up that stitch - so I used it to wrap around my card for a bow. All of that from 1 piece of ribbon! 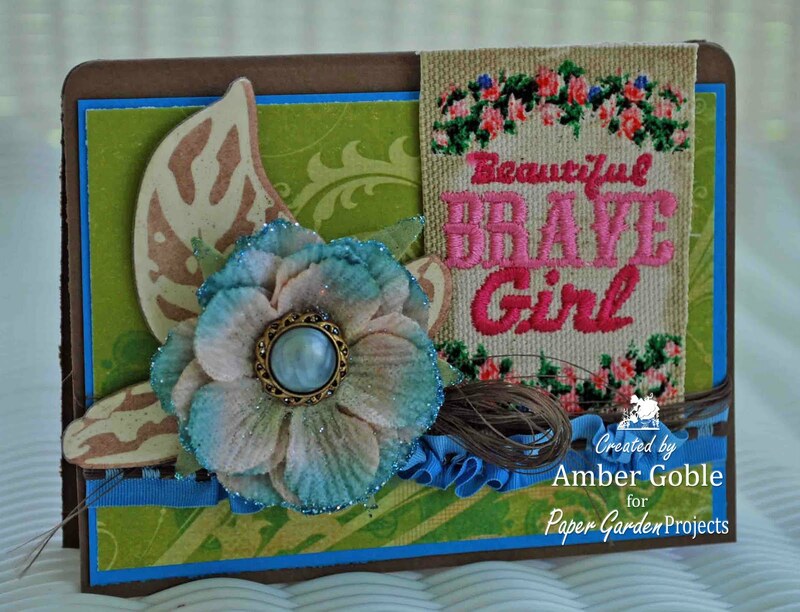 All of the products mentioned are available and linked to Paper Garden Projects. 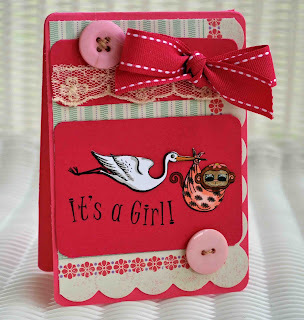 Oh how I love pink, let me count the ways....ok everything I make is turning pink these days, maybe I need to move on to other colors : ) I used Prism Cardstock. I then cut American Crafts Dear Lizzy patterened paper into 4 squares using my Spellbinder Nestabilities. 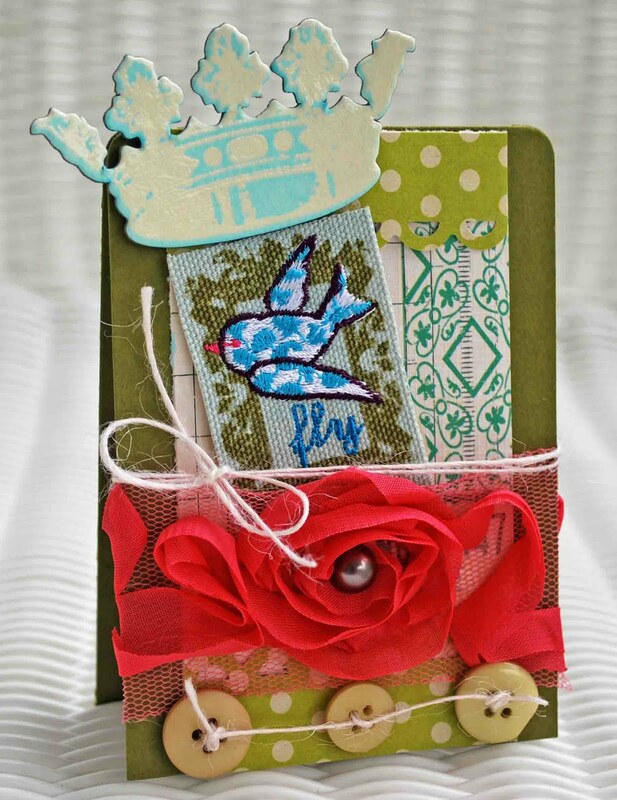 I added a Dear Lizzy rub-on and embellishment and some twine. I'm such a twine addict lately, want to wrap it around everything I make. 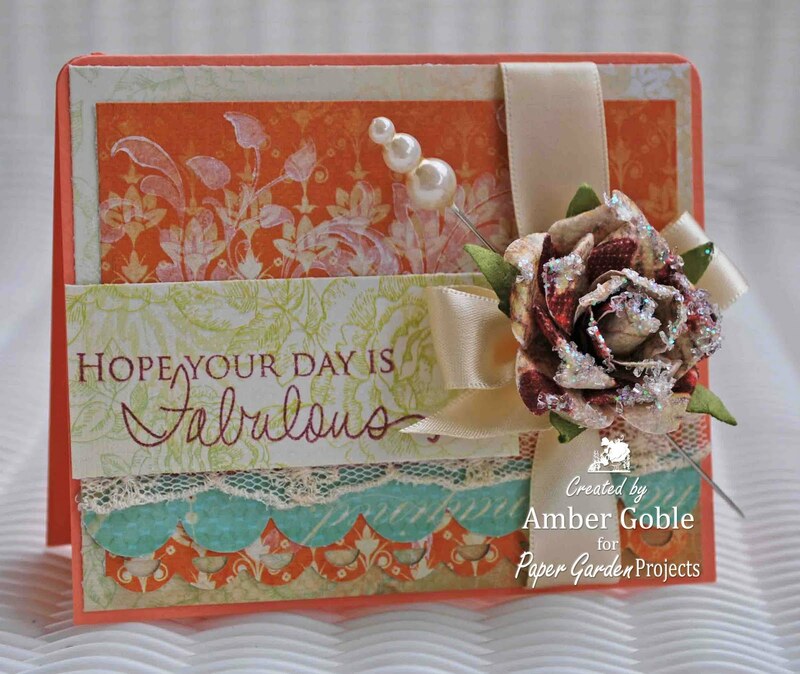 And our Guest Designer for April is the fabulous Teresa Kline. 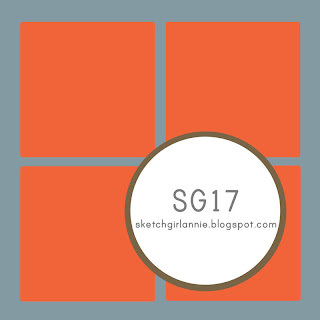 Visit Sketch Girl to upload your card using Mr. Linky! 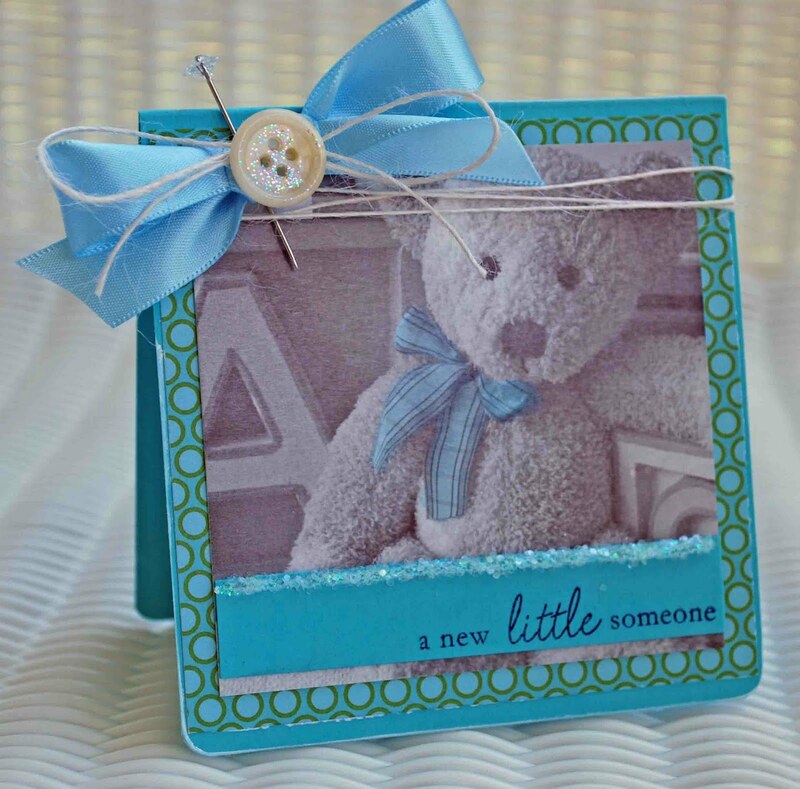 It's Tuesday and that means a new challenge at Die Cuts R Us. This week we are seeing double...make 2 of something. 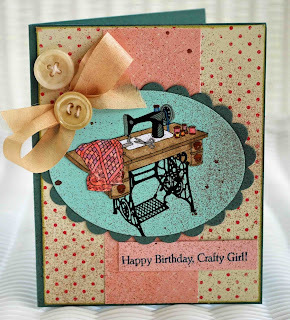 The Design Team got to play with American Crafts "Everyday" and "Backyard" patterned papers, available at DCRU. I used American Crafts Patterned Paper, AC Dear Lizzy Rub-Ons, Copics, Spellbinder Nestabilities, and Mays Art Ribbon . Visit the Die Cuts R Us DT Blog to see this week's amazing creations. 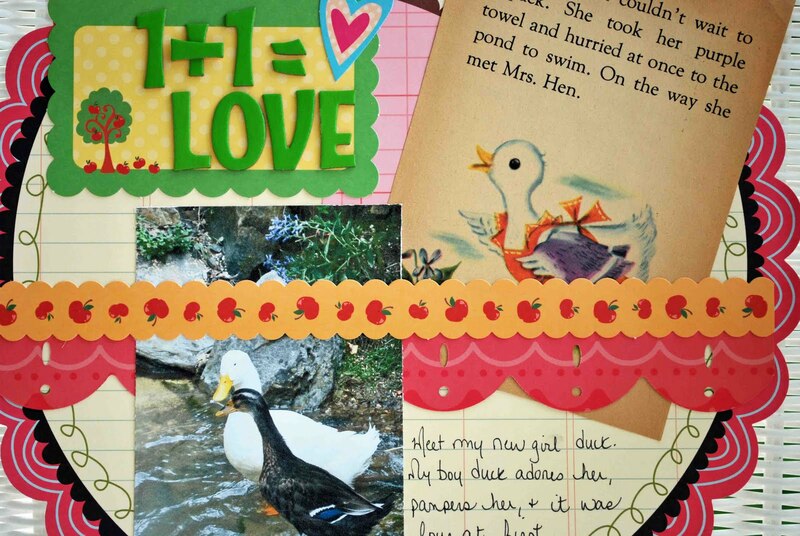 Upload your cards to Mr. Linky and play along. And DCRU's move to it's new home, A Crafty Little Place, is fast approaching. Moving day is May 4th! 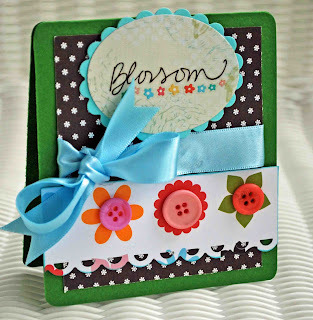 Hi everyone and welcome to "A Friendly Garden Walk" Blog Hop by Paper Garden Projects. We are so excited for you to join us and welcome our new Design Team members. I hope you enjoy walking thru the garden and checking out our "Friendly" themed projects. Inspiration is around every corner. You should have arrived from my "Buddy" Cathy's Blog. While you visit, subscribe to each Gardener's blog and take note of each designer's name and their Friendly Word in their blog post. Once you finish your garden tour, send an E-mail to custserv@papergardenprojects.com with the list of designers and their Friendly Word. 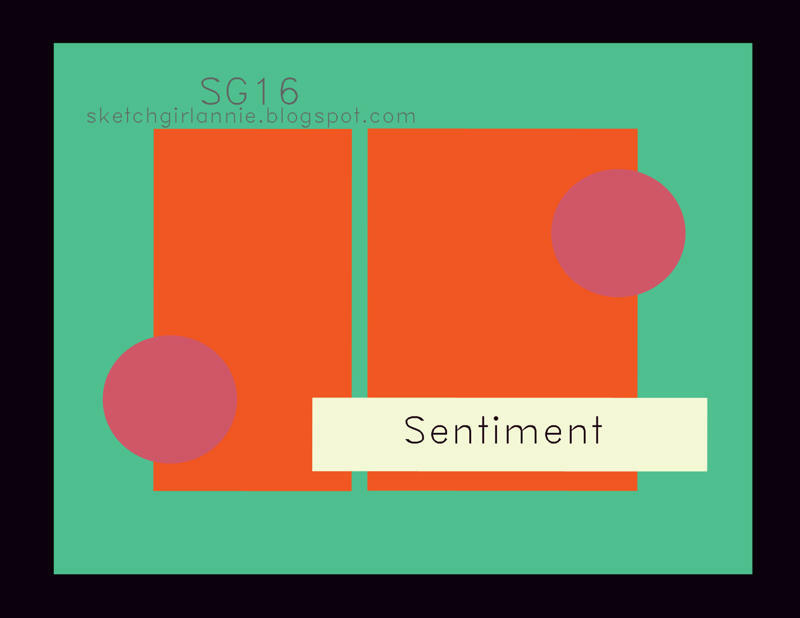 Everyone who sends the correct list of designers and words will be entered in a random drawing to win a prize. You need to send an e-mail to the address above; please don't leave your list as a comment. You have until midnight (EST) on Tuesday, April 27 to send your list. 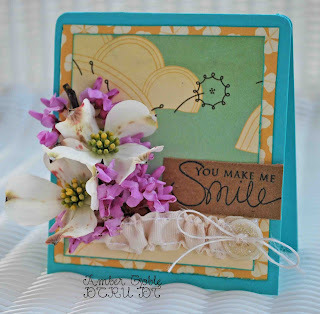 I used the Antique Floral Clear Stamp Set available at Paper Garden Projects. 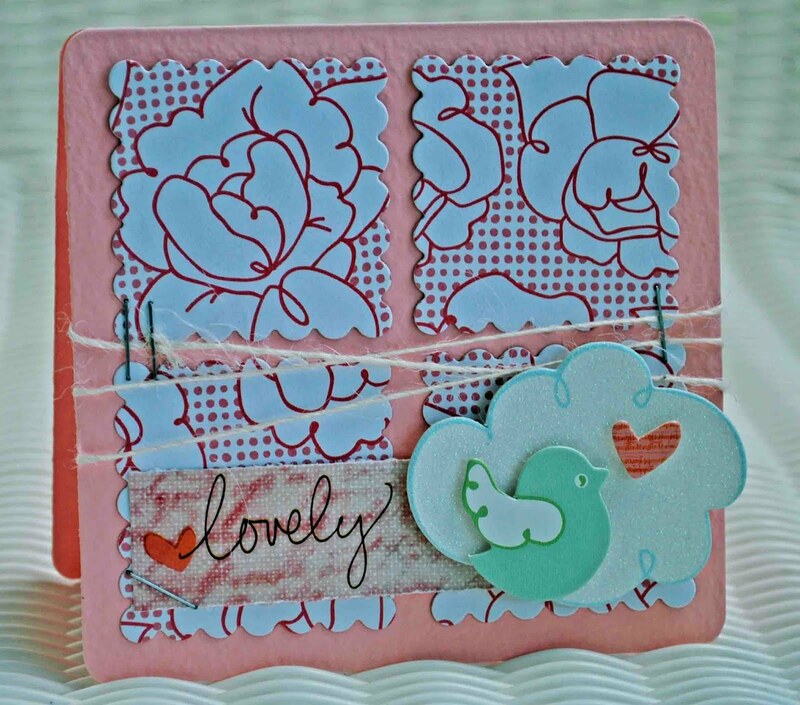 Oh this stamp set is a must have, beautiful flowery flourishes that are perfect for Spring. 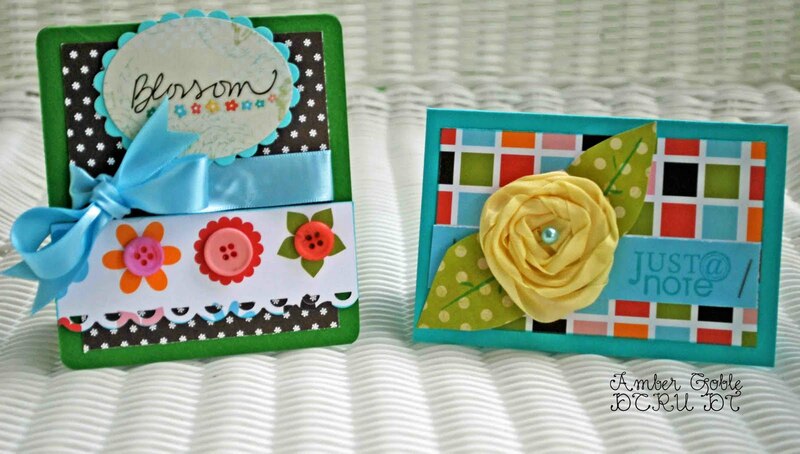 I also used Kaisercraft Devonshire Patterend Paper and I adore this paper set! 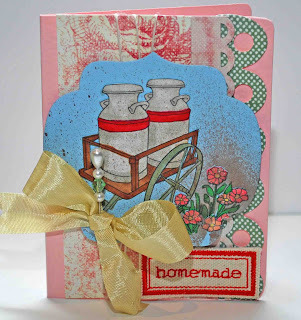 It is beautiful with a vintage touch! 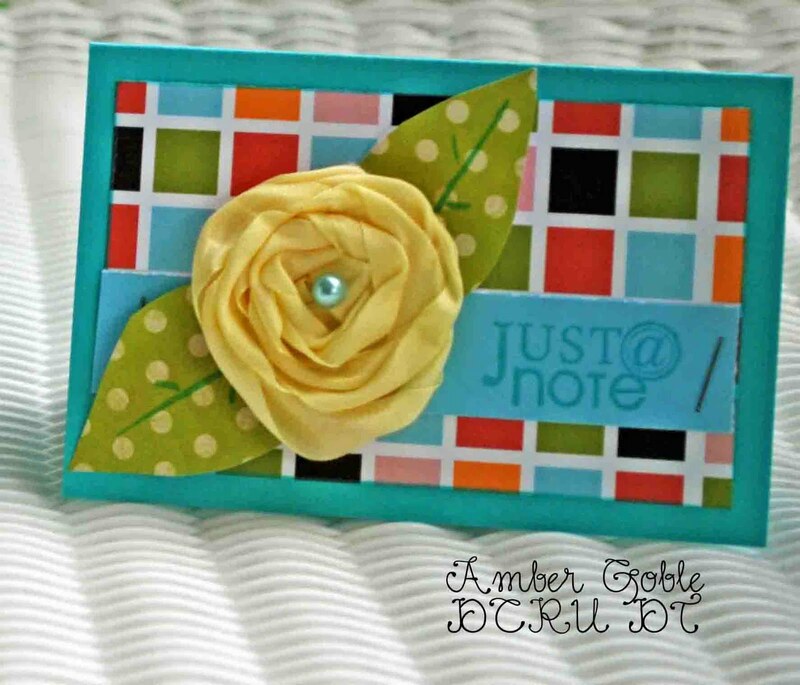 I also used Prism Cardstock. All of these supplies are available at the PGP Store. 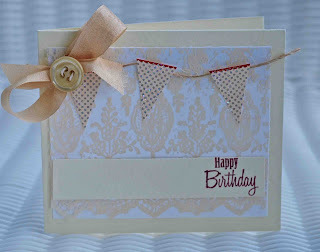 I simply stamped my flourishes in white and let them blend into my paper for a background. 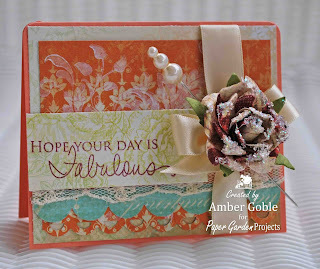 I used the same supplies and stamped my flourishes in pink and look how they stand out! Love it! Hope you've enjoyed a little inspiration from me. Have you guessed my secret friendly word yet??? It's BUDDY! Now it's time for another stop on the Garden Tour, Tangii! Have fun!!! It's time for challenge #4 at DDSB. 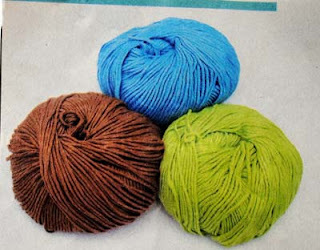 This week we are having a color challenge, would you like to know the colors??? Robin egg blue,Grass Green,Buttercup,Neutral. Such beautiful Springy colors! 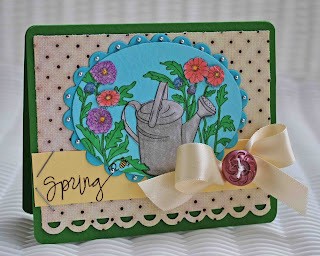 This week I used the "Watering Can" Digi Stamp from Digi Doodle Shop! It is just fabulous, so pretty and fun to color. Visit the Digi Doodle Shop to see all of their beautiful digi stamps, you will love them! I printed my digi on blue cardstock and white cardstock. 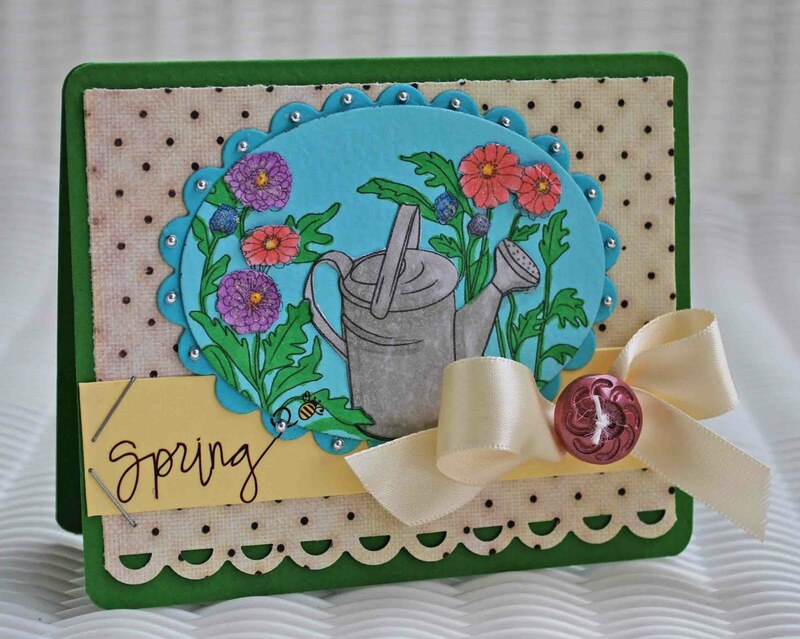 I then cut out the watering can and bigger flowers from the white cardstock and layered them on the blue digi. I colored my image using copics. 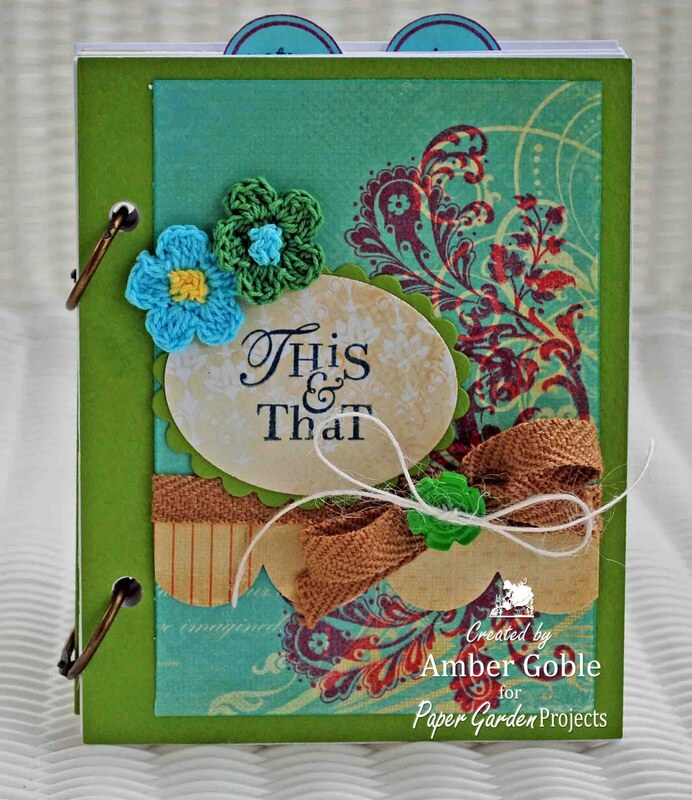 I used Papertrey Ink and Prima Paper, a Dear Lizzy Rub-On, Spellbinder Nestabilities and GCD Studio Button. My ribbon is Mays Art. And my new punch (that I'm already obsessed with) is Fiskars. Time for a new challenge at DCRU. This week we are celebrating Earth Day which is on Thursday. 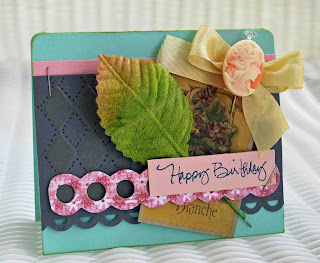 The challenge is to make a card, LO, or project and use an embellishment from nature. My mind has been spinning for this challenge. Should I use chicken feathers, eggs...hmmm so many options on the farm. But I settled on beautiful dogwood and red bud blossoms. Everything is in bloom here and I just love it. 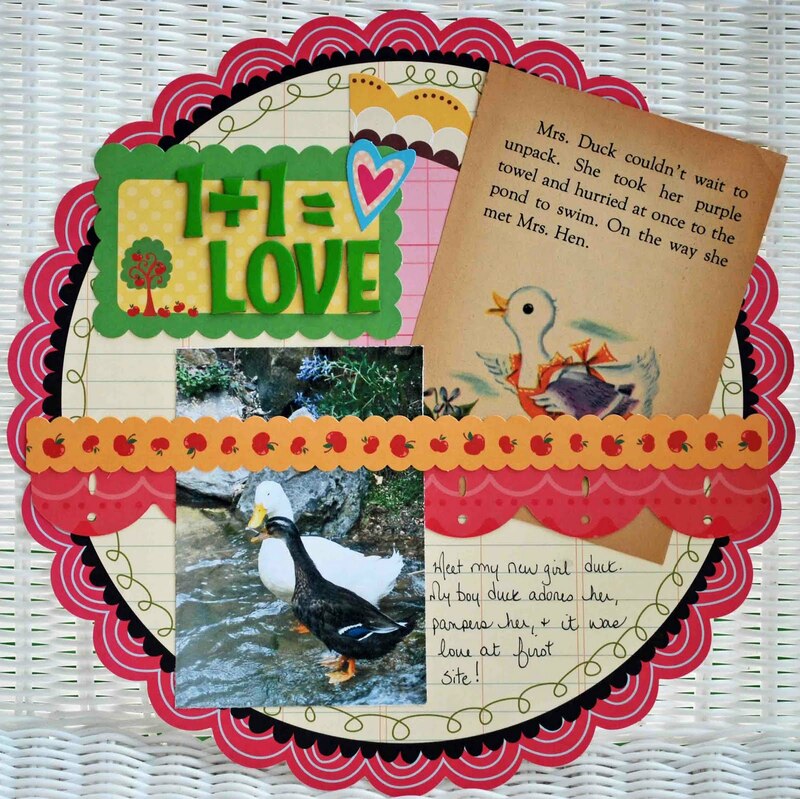 Visit the DCRU DT Blog to see this week's amazing creations from the DT. And don't forget to visit the upcoming "new" home of DCRU, called "A Crafty Little Place". I used my Photochip, which is black and white, then lightly colored the bear's bow with a Copic Marker. I love how it turned out! 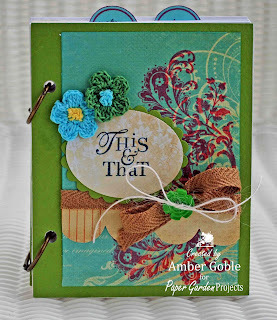 I also used Papertrey Ink Cardstock, Stamps, Twine and Mays Art Ribbon. 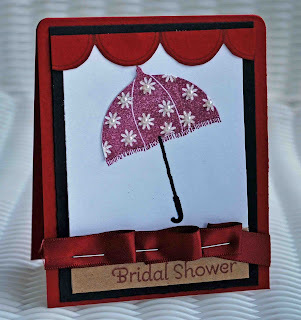 I used Papertrey Ink Cardstock, Stamps, and Ink. I used a Cuttlebug Embossing Folder to make my Argyle design. 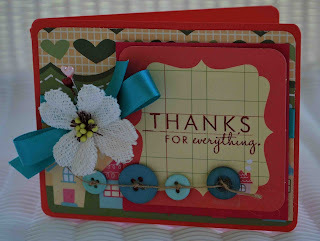 I used the Sewing Machine-Vintage Stamp and I ADORE it. I love anything vintage so this stamp was perfect for me. I printed my stamp on the blue cardstock then printed one on white cardstock. 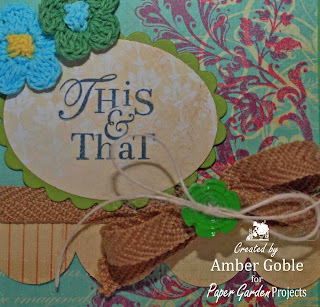 I simply colored and cut out parts of the stamp and then put it on top of the blue cardstock + stamp. This is the easiest way I've found to have a stamp with background shades and still be able to color your stamp on white cardstock. 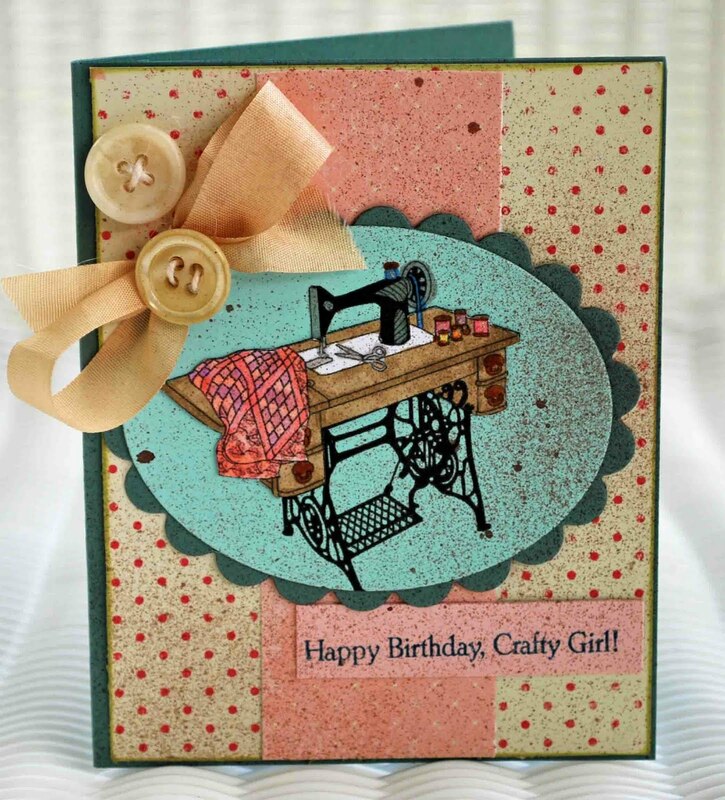 I added a seam binding ribbon to add to the vintage look. And then I sprayed my card with Tattered Angels Glimmer Mist to make it look aged. 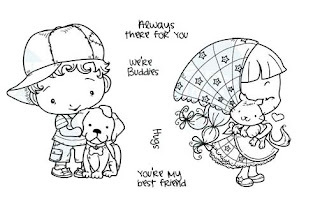 Visit the Digi Doodle Shop to see there amazing digi stamps. 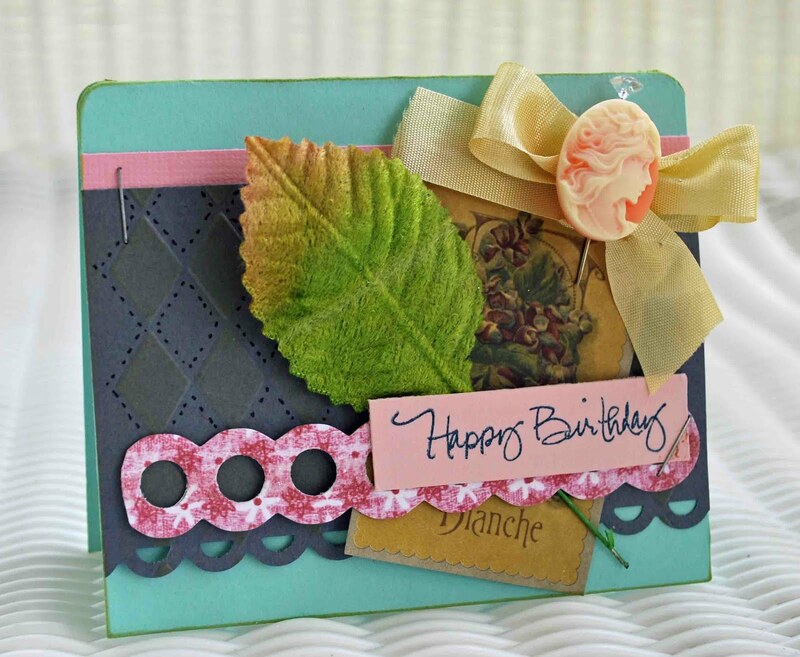 And visit the Digi Doodle Shop's Best Challenge Blog to see the DT's beautiful creations. And our Sponsor is The Character Cafe and the prize is a $10 gift certificate to the store. The DT got to play with a digi stamp from the Character Cafe and I just loved mine!!! I used the G'Monkey Delivery Day Stamp. 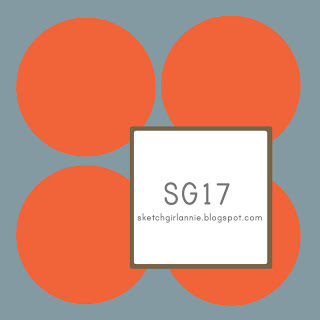 I flipped the sketch and added buttons where the circles are. I printed my digi stamp on a piece of pink cardstock. I then printed the same stamp on a piece of white cardstock and colored the little monkey and shaded the stork. 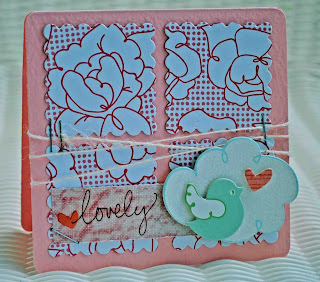 I carefully cut out the colored image and placed it over the stamp on the pink cardstock. And our Guest Designer for April is the very talented Teresa Kline. 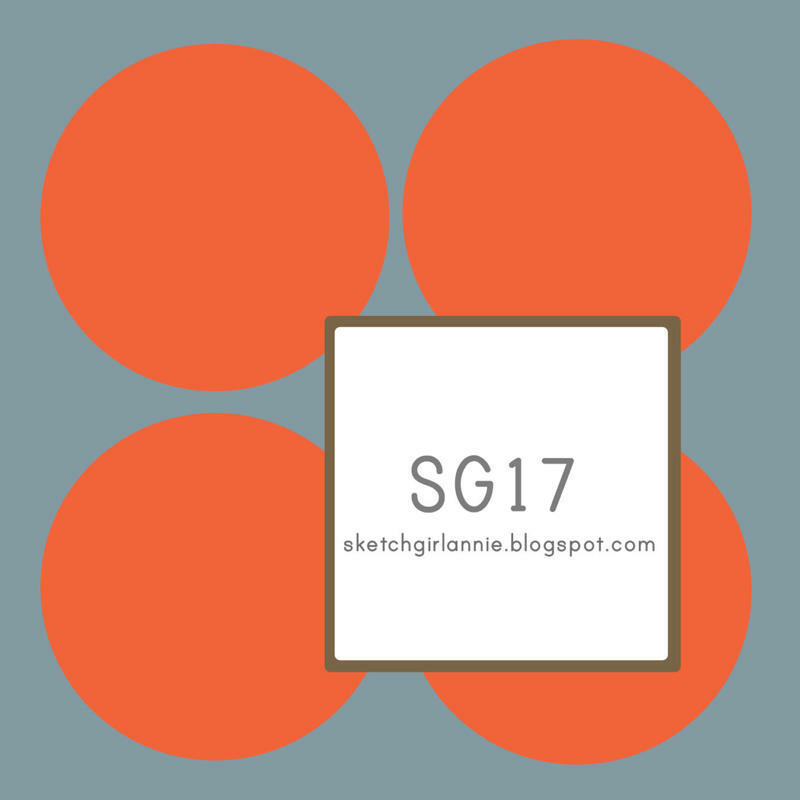 Visit Sketch Girl to enter your card! 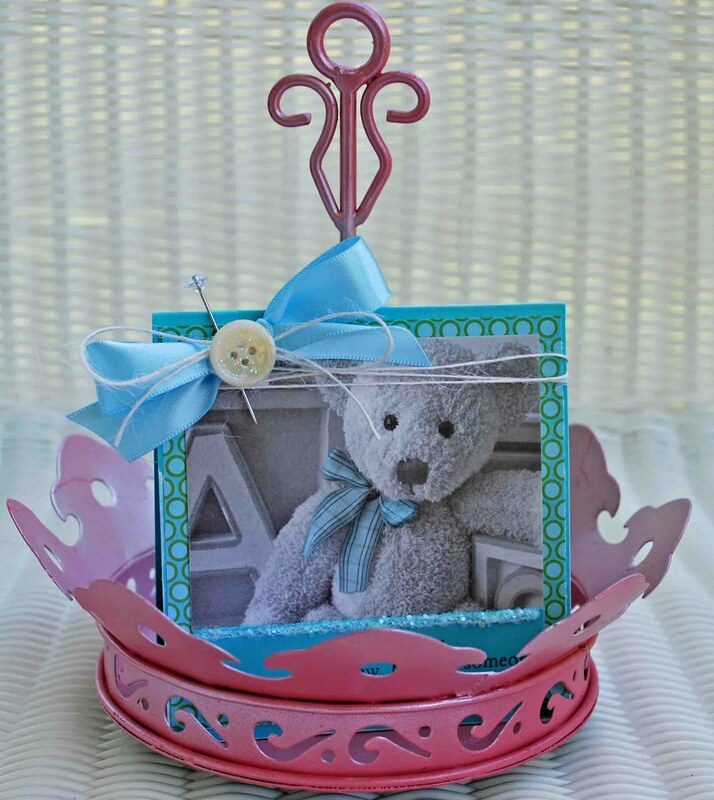 I used Pink Paislee Paper, Unity Stamps, Copics, and Spellbinder Nestabilities all available at the DCRU Store. Visit the DCRU DT Blog to see the amazing creations from the Design Team. Today couldn't have been more beautiful. The sun was out, everything is in bloom, and I didn't have to work. The spells a "Sweet Sunday". This time of year reminds me of how good God is, we get to see his beautiful masterpiece reborn each Spring. It makes me very thankful for all the blessings He gives me. 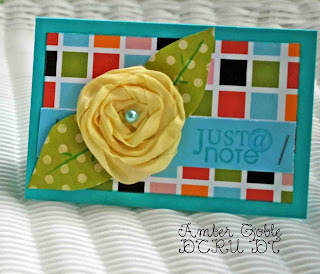 I used Prism Cardstock and Papertrey Ink supplies. These are also my high school's colors (minus the kraft) so I can't help but think of the good ole Belfry Pirates. Next up is a VERY SIMPLE card. 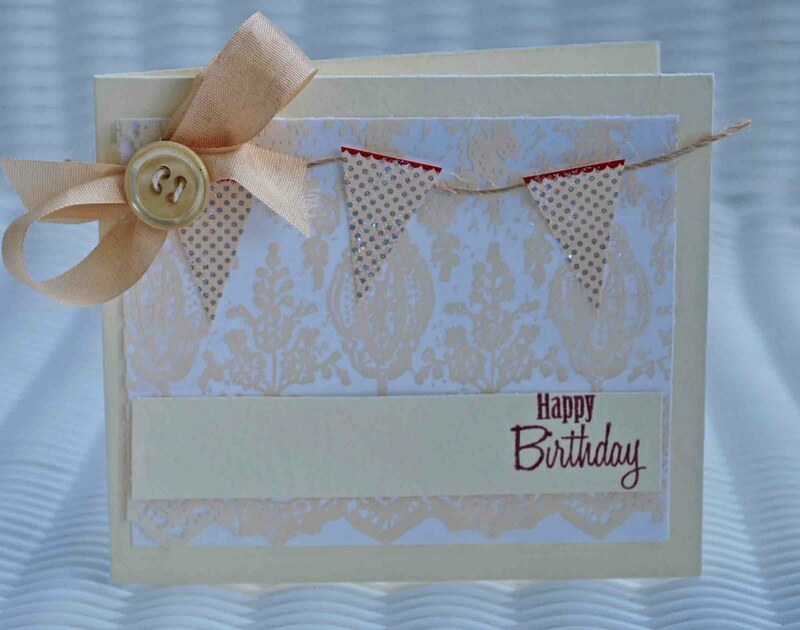 I used the colors cream and white to make a birthday card. I wanted to include a banner (Jenni Bowlin Stickers). Banners are every where at the moment and I can't wait to try this tutorial from my amazingly crafty friend Heidi Van Laar, it's a must see! 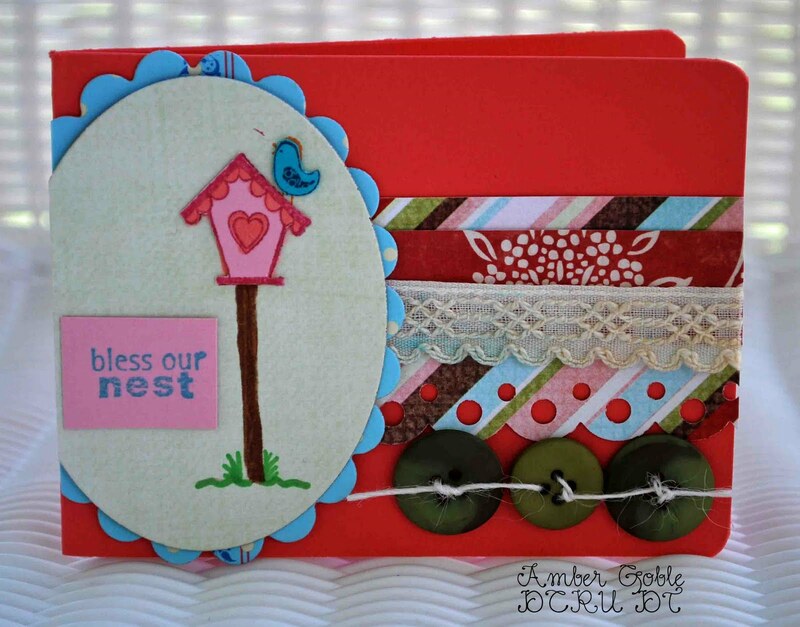 It's time for our second challenge at the Digi Doodle Shop's Best Challenge Blog. This week's challenge is to create a card with a unique fold. 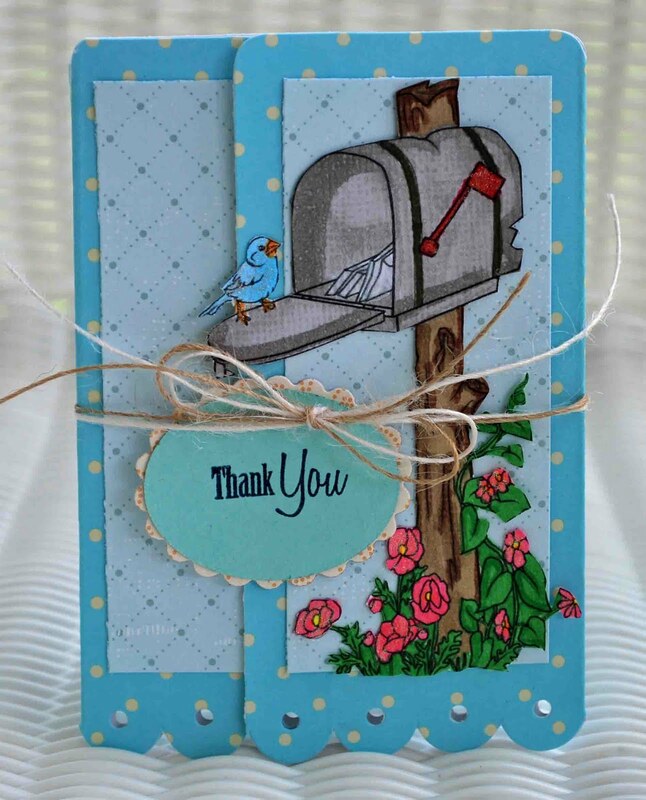 I used the darling "You've Got Mail" digi stamp from the Digi Doodle Shop! It was so fun to color and shade with my Copics! 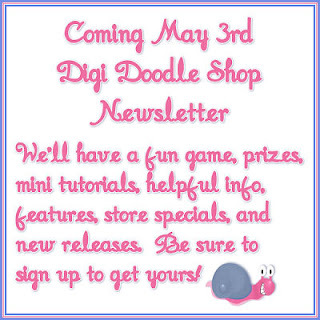 Visit the Digi Doodle Shop's Best Challenge Blog to see the DT's amazing creations. 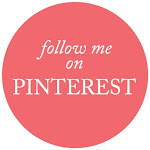 You'll find lots of inspiration and ideas!!! And be sure to play along! 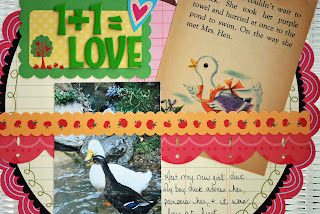 I used the Spring Cut-Outs from SMS and simply printed them on yellow cardstock. 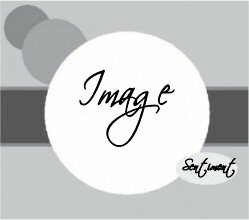 I wanted to use the wavy lines as faux ric rac and use that as my border. 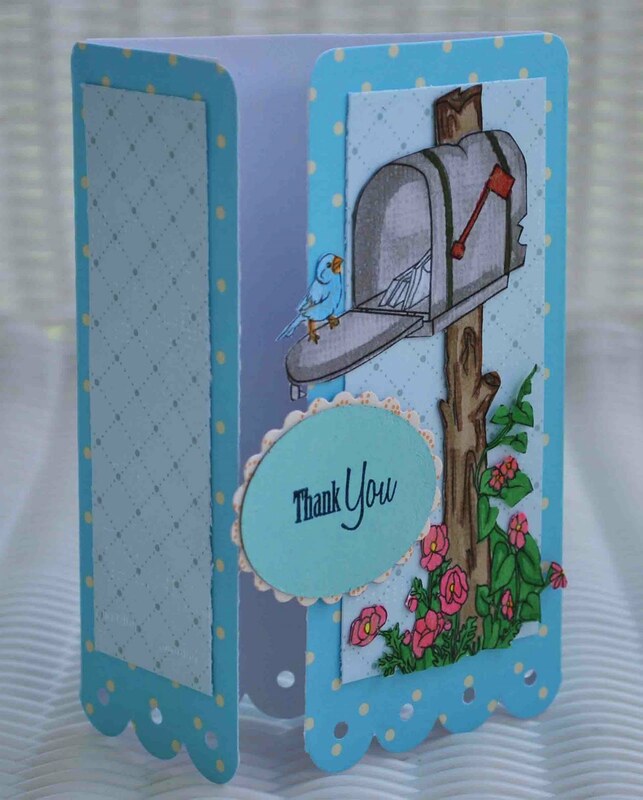 I then added the embossed Spring daisies and butterflies from SMS. 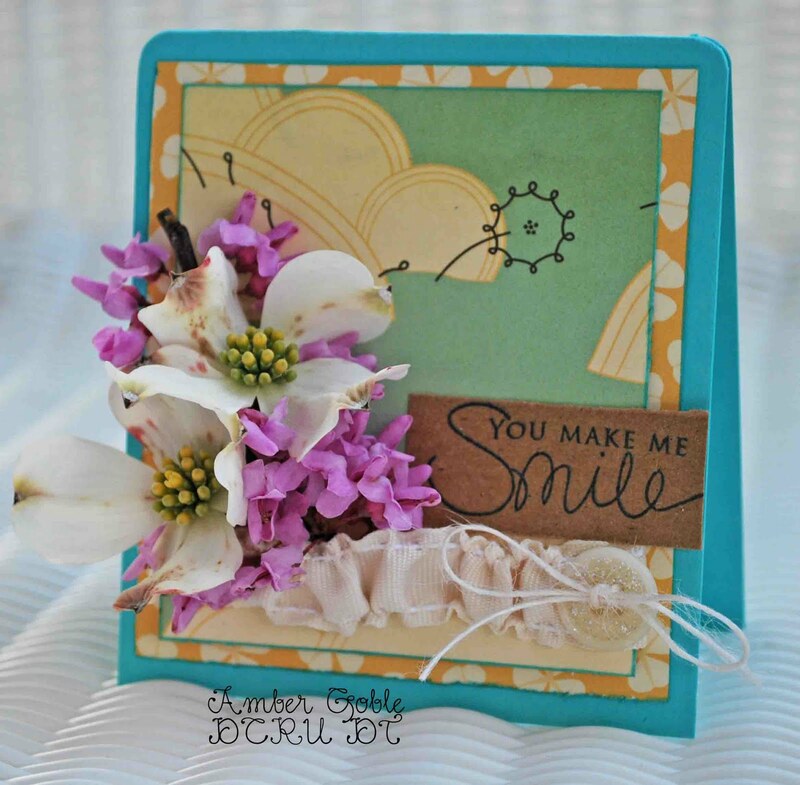 For my daises I simply layered them and then curled my upper daisies petals slightly with a pen to make it look real.